Dr. Michael Harder (*1951) studied chemistry and economics and began his industrial research activity in 1980 with the company BASF AG Ludwigshafen, where he developed data carriers. Five years later he became head of the GUT Freiburg, a scientific consulting company. There he worked on systemic and ecological questions in economics and politics. In the meantime Michael Harder was among the final astronaut candidates for the german D2 mission. 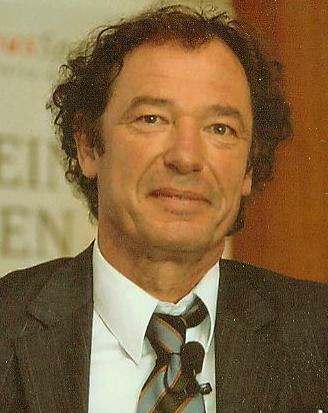 In 2002 he founded the "Bureau of Interdisciplinary Sciences" in Staufen (near Freiburg), which deals with complex and fundamental questions in physics and economics. The results of these works were published in the book ?Einstein?s Errors? which is available in an updated edition since December 2010. In this book the foundations for new physics are introduced, which places special emphasis on dynamic phenomena, which Michael Harder calls "process physics". He has reported on this research in physics and economics since 2005 in numerous talks, workshops and symposia.